This record is the other side of "A Impantação da República" that we just publish today. 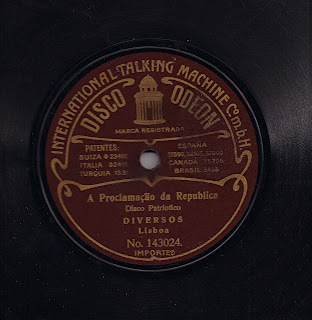 Like the above mentioned has an inscription "disco patriótico", which we can translate as "patriotic record". This is easy to understand because it has been made to commemorate the revolution that takes place in 1910 on October 5th in Lisbon. 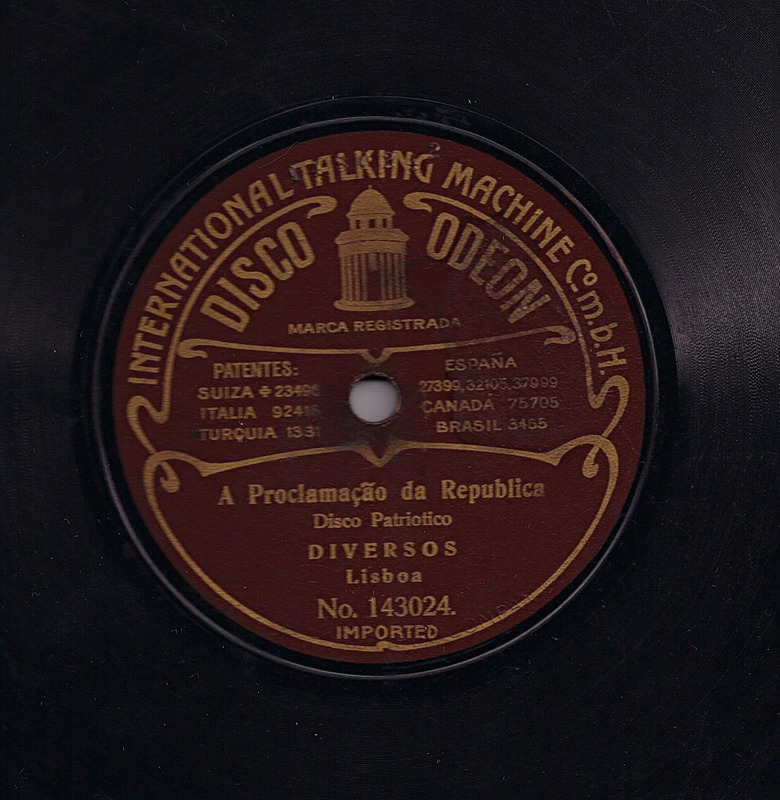 The name of the recording "A Proclamação da República" is easy to understand for the english speaking reader, because it means "The Proclamation of Republic".